Some of you are seeing green in your neck of the woods. There is greening happening where the snow has melted here in Maine. 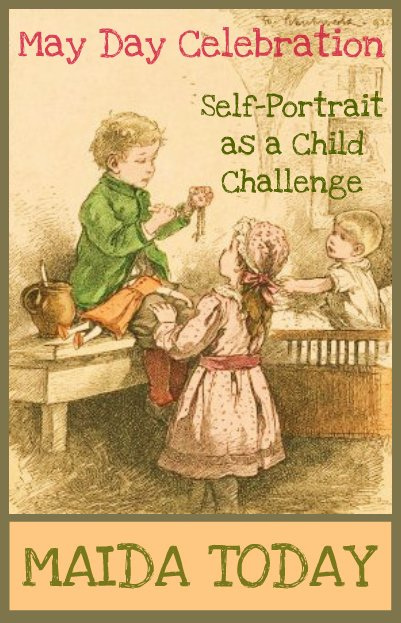 We are having a "Self-Portrait as a Child" challenge in the Maida Dolls Group. I had set the target finish date as May 1st, and realized it was May Day. So we'll make this a celebration of childhood AND May Day. Why not join us in the fun? Think back to one of your happy childhood days and try to capture that moment in a self-portrait doll. I remember dancing around a maypole when I was in 3rd or 4th grade. It was fun. And my Aunt Nita made May Baskets every year when we were kids. We hung them on people's doors. Did you do that? 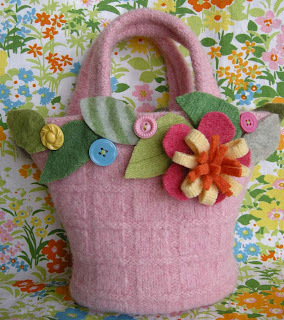 In preparation of our celebration - here's a fun tote basket that would be a fun way to present a small doll. Click here for more information in how to make it.